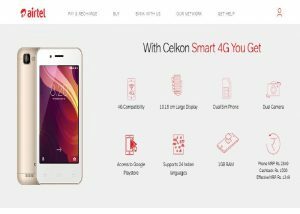 Airtel partner with best mobile brand Celkon to offer 4G smartphone at an effective price of rupees 1,349 and the device will come preloaded with MyAirtel App, Wynk Music and Airtel TV to add to the online experience of customers. 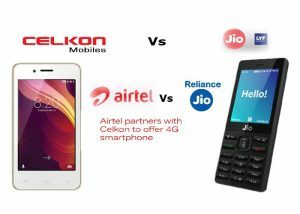 Under Airtel’s ‘Mera Pehla Smartphone’ initiative, Celkon’s Android powered 4G smartphone is being offered at a price of a feature phone but the device market price of Celkon Smart 4G is approx rupees 3,500. The device has a 4 inch TFT Capacitive Touchscreen, dual SIM slots and FM radio. Additionally, user gets full access to all apps on Google Play Store including YouTube, Facebook and WhatsApp. 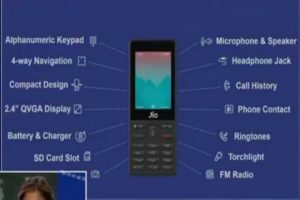 Reliance Jio Phone is a feature phone launched by the company’s chairman Mukesh Ambani at Reliance Industries’ 40th annual general meeting and it effective price of rupees zero (buyers will have to shell out a refundable, security deposit of rupees 1500 for the feature phone).